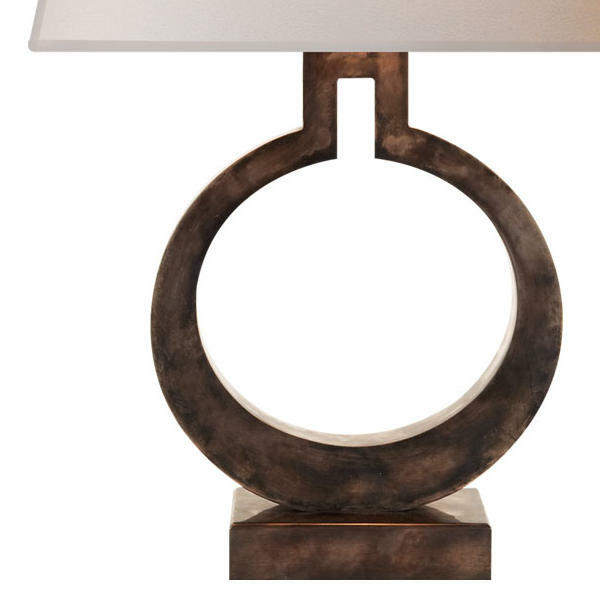 A characterful table lamp in sheffield nickel, fashioned into a ring with a paper shade. Ring creates interesting shapes in a room, where the circular base contrasts the strong geometric shade. 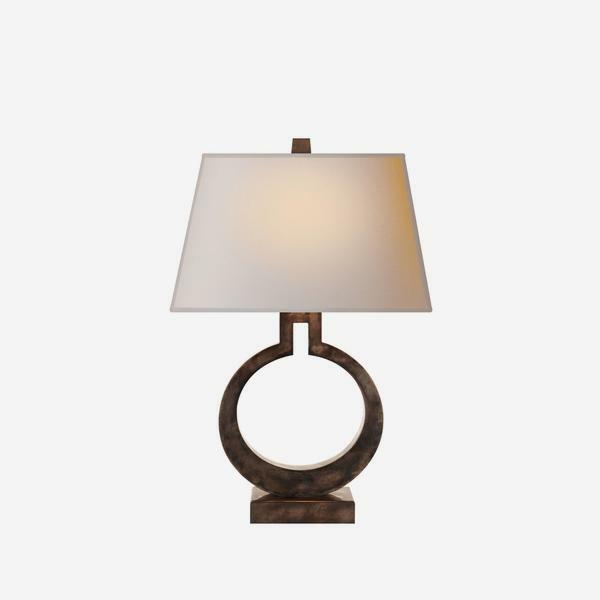 Designed by lighting icon E.F. Chapman, it beautifully combines traditional and modern. Available in two sizes.